“ New Year, new me” is the motto that is used as a resolution at the beginning of every year. But let’s be honest with each other, do we actually follow through with all the new years resolutions to change ourselves for the bette,r or do we try to achieve them within a week and give up? How about we start from the basics, starting from your own home, right in the closet. If we all reflect back to our wardrobe decisions in the past year, there were probably some slight regrets that got us second-guessing our style sense. Let’s lay out the top 3 wardrobe basics to carry over to the New Year to start off the new me resolution. You can never go wrong with a plain white button up shirt. My favorite basics in the closets are the ones where you have the versatility to dress them up or down depending on the occasion. There are different kinds of fits for a white shirt that can be best suited for every body type. An all-time favorite is the oversized shirt, almost as if you snuck away with one of your boyfriend’s shirts. The oversized button down shirt can be worn as a tunic if you add a skinny belt at the waist, or it can be worn as a dress, paired with some boots. Hands down, you can never go wrong with a pair of black booties. The right pair of shoes can easily complete any outfit whether it’s business casual or a night out of town. 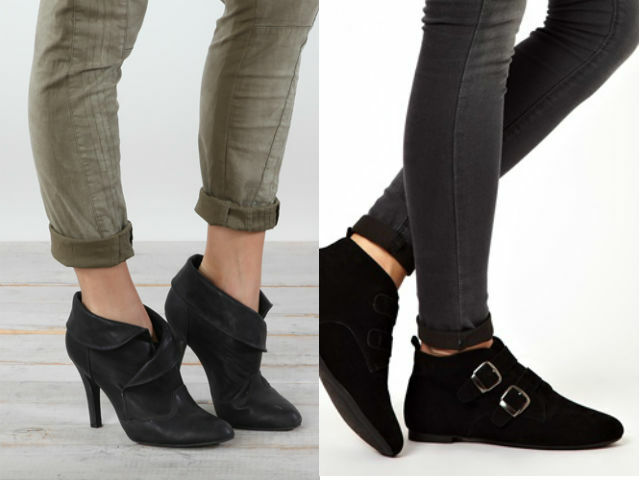 The secret to finding the right pair of booties is the length of the boots on your ankle. You want to make sure that the boots do not cut off at the wrong place on your ankle because it can take away from the length of your legs. You easily can dress a pair of black booties with anything you have in your closet, from dresses to jeans and even suits. How can we ever forget Coco Chanel’s go-to fashion basic: the little black dress. The perfect black dress can last you through many years, even to the point of passing down the dress to your children one day. The perfect little black dress consists of the right fit around your curves, the length that will elongate your legs and the neckline that will show a little something something that is just enough, but not too much, of the ladies. Let these fashion basics be the beginning of a new year to create your own personal style, to bring out the inner confidence you’ve been waiting for. It’s not about what brands or how much you spend on these pieces, but how you style them with your own personal touch. Feel confident with how you present yourself and it’s already a start to a new you. Now let’s get a kick-start on those new years resolution, okay? Christine Evelyn Wong is a Fashion Blogger and Youtuber based in Toronto who is always seeking inspiration for street style and social media. She has been in the fashion industry as a assistant at Judy Inc.,a Production Assistant at Designer Dennis Merotto, and is a frequent style contributor at Stylust Magazine. Fashion has become her everyday life from writing to styling and showcasing her style on social media. Christine continues to be a passionate dreamer who is determined to make a place for herself in the fashion industry.